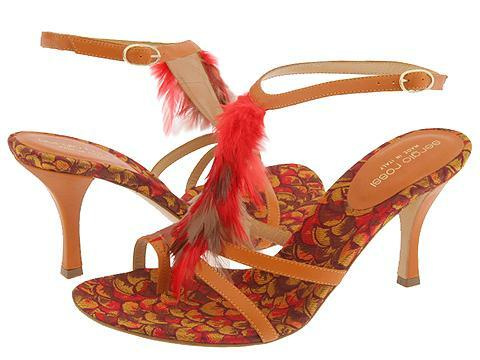 Flirty feather adorned toe ring T-strap sandal with a sassy attitude. Smooth leather upper and covered heel. Lightly padded footbed is lined with beautiful brocade. Leather lining and sole. Made in Italy.